Learn to create intricate wood inlays in this 5 day class with Tim Swanberg. Marquetry is the process of assembling pieces of veneer into seamless image on a panel. During this five day course you will gain exposure to marquetry as a unique and highly individualistic technique of surface decoration. We will explore design considerations, attributes of commercial and shop-sawn veneers; and techniques through demonstrations, slide shows, and hands-on experimentation. Students will design and prepare a complete marquetry panel using scroll and fret saws. 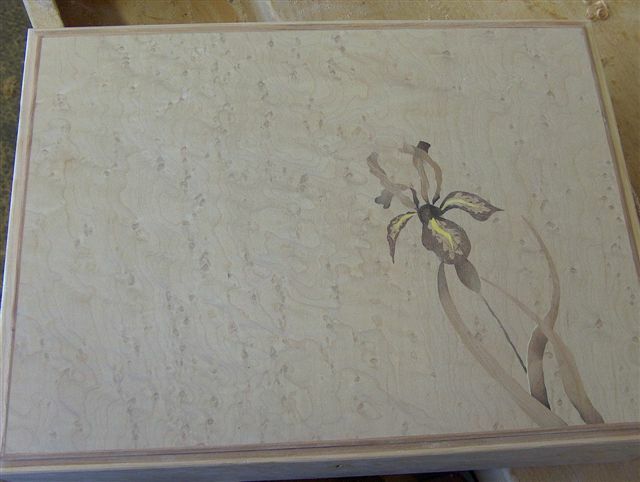 Tim will explain and demonstrate how marquetry panels are used furniture making. I. Survey of surface decoration techniques including the strengths and limitations of marquetry. Students are required to bring some of their own tools and supplies. For questions contact Tim Swanberg. He can make suggestions on where to source tools and organize a group tool order, if needed.